Ivy League Dartmouth, our country’s ninth oldest college, offers a Liberal Arts education known for its academic excellence and intensity. Located in the town of Hanover, known as “The Upper Valley”, encompassing Hanover and Lebanon in New Hampshire and Norwich in Vermont. 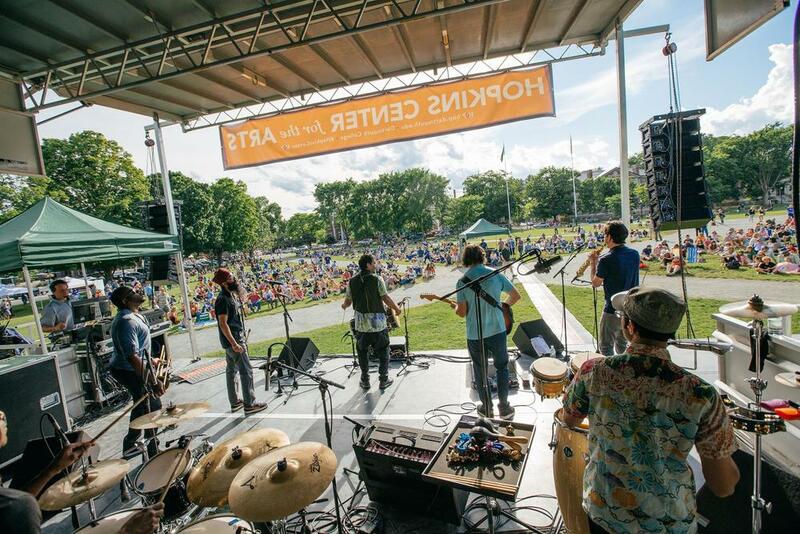 With the Appalachian Trail running through campus and the Connecticut River a stone’s throw away there’s an incredible array of activities in the area if you have time after your visit. Transportation: Hanover lies on the Connecticut River about 120 miles northwest of Boston, Massachusetts and about 270 miles north of New York City. The closest small airport is in Lebanon, NH (serving New York's LaGuardia several times each day) and the closest international airports are Boston's Logan International, Hartford CT's Bradley International and Manchester, NH International. Amtrak's “Vermonter” service, connecting Northern New England with New York City and Washington DC, arrives daily in White River Junction, Vt. About 5 miles, ten minutes driving time, from campus. Greyhound bus service also arrives in White River Junction. .
Stay: Right on campus, overlooking the Dartmouth Green; our first choice is the Hanover Inn. If it’s full, try the Six South Street Hotel. A mile from Hanover, another option is the Norwich Inn, located just across the bridge in quaint, charming Norwich, Vermont. Marriott, Element Hotel, and Marriott Residence Inn are all within close proximity to the school. Coffee: Dirt Cowboy is an excellent local coffee shop right on campus. Lunch: Many students say the best sandwich in town is at Umpleby’s. Word has it to order the #5--the Bertie Wooster, add avocado and have it grilled. Vegetarians will be happy with #6—the Mungo Park. There’s outdoor seating if it’s a nice day. If you’re craving a burrito Boloco is similar to a Qdoba or Chipotle. Lastly, Molly’s (a staple of Hanover town) offers sandwiches and salads also with outdoor seating. Casual: For a delicious, relaxed dinner head to Murphys, and order the Murph Burger, or try Salt Hill Pub for similar, equally good food. Market Table offers an eclectic, creative and local menu. A Step Up: One of the nicest restaurants in town, the Pine Restaurant at the Hanover Inn, is known for great food served in a warm atmosphere. The Canoe Club is another excellent choice right in Hanover. Late Night Snack: For the best gelato, you can’t leave town without a stop at Morano Gelato. Every morning, the gelato is made fresh—it's so good! Local Attractions: Take advantage of the beautiful surroundings and go on a hike. A local favorite is to hike to the top of the fire tower located on Gile Mountain, about 15 minutes from Hanover. It’s approximately a 35-45 minute hike to the top, with a reward of breathtaking 360-degree views of the Vermont/New Hampshire area. Visit Simon Pearce in nearby Quechee, Vermont, a half hour drive away. In addition to their signature glass blowing operation, there is a flagship store and a beautiful fine-dining restaurant overlooking the falls of the Ottauque River. Just toured the Dartmouth College Campus? Are you a Dartmouth College student, parent or Alumni? 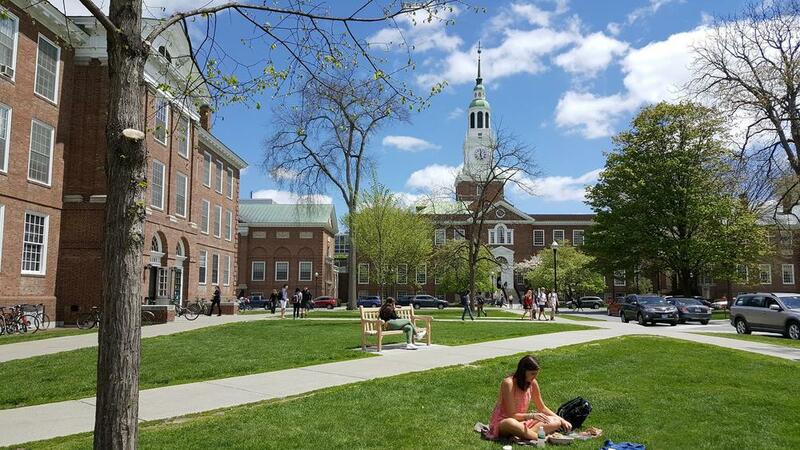 Fill out this 2 minute survey to supplement our Daytripper University Guide for Dartmouth College!